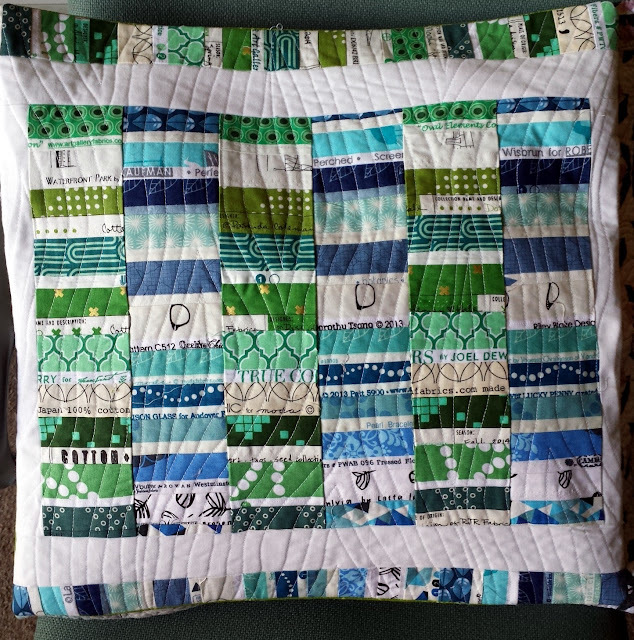 **For my pillow, I chose two colors to focus on (blue and green) plus four "low volume" selvages to quiet them a bit. I dispersed them randomly within the pillows (see two pictures below). 1. Press your selvages. It will be much easier to sew them together, promise! 2. Sew the selvages together just as you would fabric (right sides together) - just make sure the words are facing all the same way. I use an 1/8th of an inch seam to make sure that the words show as much as possible. Pin, go slowly, and yours will come out beautiful! You can use a 1/4th inch seam if you wish, but you probably won't see all of the words. You do NOT need a foundation behind them to piece these. 3. Sew them together until you have pieces roughly 13" x 18". 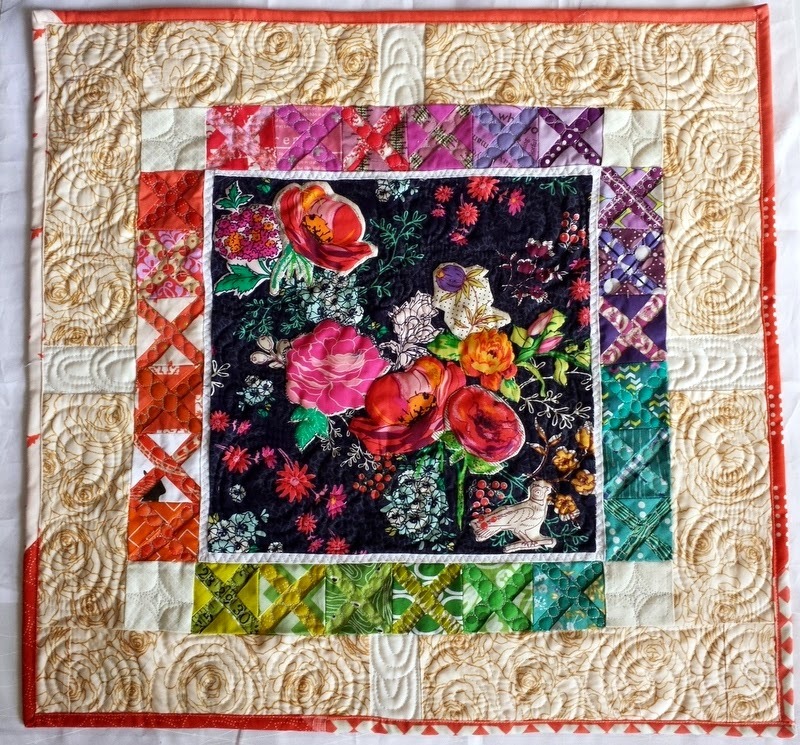 Trim to 13" x 15". Again, feel free to add as many selvages as you need to get to these numbers. 4. Slice BOTH pieces into 3" strips. You should have a little sliver of a scrap to throw out. Soooo pretty. Sigh. I love color. 5. Arrange the selvage strips so that there are three of each in the middle, alternating like so (see picture below). Really, you could do any design. Feel free to experiment! 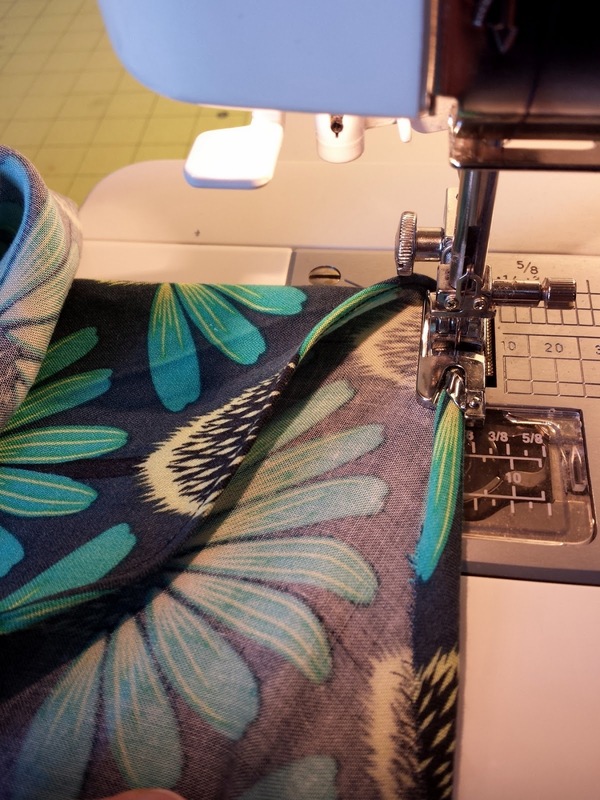 Sew the 6 middle strips together with a 1/4 inch seam allowance and press open. 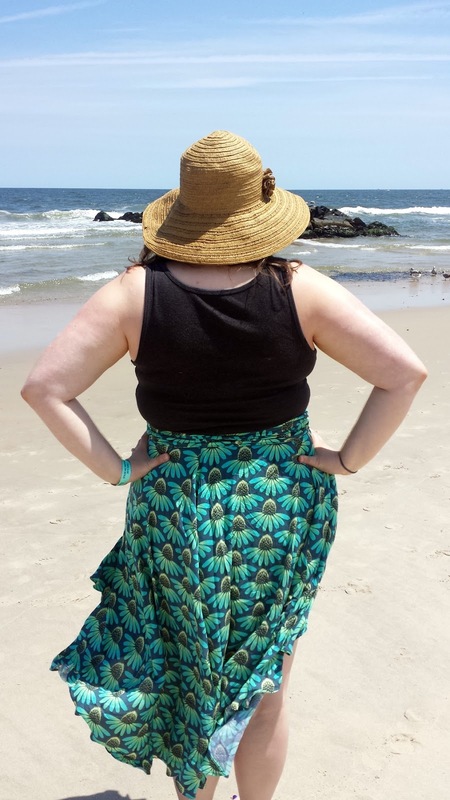 Your top should be at 13" x 15.5." 6. Add a 1.75" white border around the middle selvages, sewing with a 1/4 inch seam. I did this to break up the busy-ness of the fabric. Add the two sides on first, then the top and bottom. Make sure you press! 7. Sew on the extra selvage strips to the top and bottom as seen above (I sewed two green and two blue together, and cut off the scraps). You will also need to cut down the outer selvage strips a little bit when putting your pillow together, but just wait until you are adding the back. 7. Layer with batting and muslin behind your pillow top and quilt as desired. I like to have three layers because it makes the pillow more sturdy (plus, if you ever want to wash the covers, you won't have to worry about your batting being exposed). 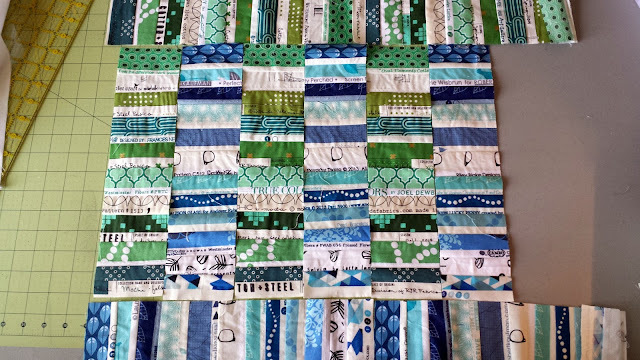 I decided to quilt using a wavy walking foot motif (inspired by the lovely Melanie Tuazon). 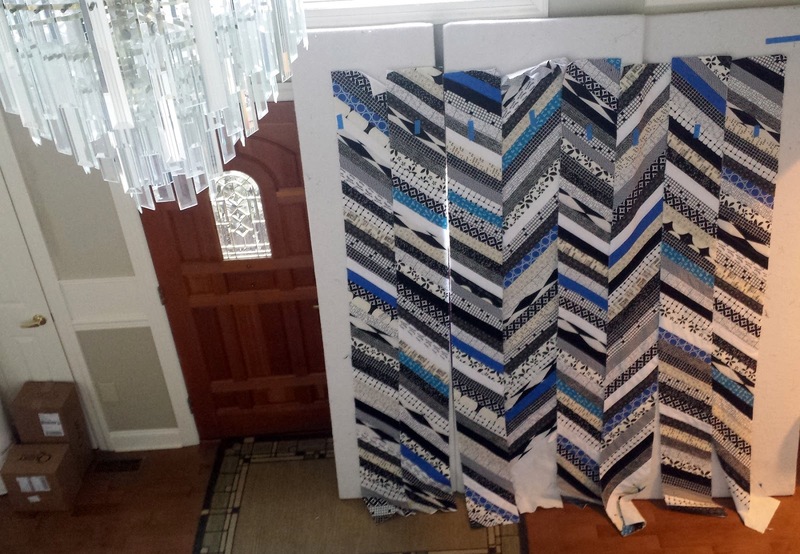 Cut two pieces of fabric 11" x 18.5" and 13.5" x 18.5." The larger one will be on top of your pillow back. Make sure if they are directional prints that you lay them out first to ensure they face the right way! 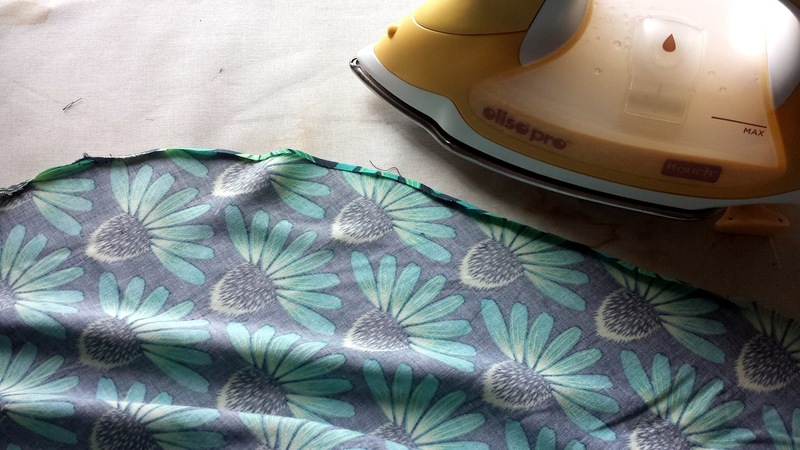 Fold the bottom of the top piece over twice at a quarter of an inch, press, and sew along the edge. Do the same for the top of the bottom piece. This way, you will encase the raw edges in a "hem." Place the pillow top face up. Place the longer part of the back face down, then the smaller part face down (they will overlap). Pin all the way around and sew 1/4" from the edge. I like to back stitch where the overlaps are for increased security. You can snip the corners if you'd like to reduce bulk. Flip the pillow right sides out, stuff in an 18" pillow form, and you are done! Join us next Monday for another selvage tutorial. Happy Sewing! July 27 - Selvage Strip Pillow Tutorial by Jess @ Quilty Habit <<<You are here! Who's ready for the Selvage Along?! Join Renee (Quilts of a Feather) and I for the next two months on Monday as we explore the many ways you can use selvages in your sewing. We have a bunch of great guest posters, too. Gather your selvages together and get ready to go! 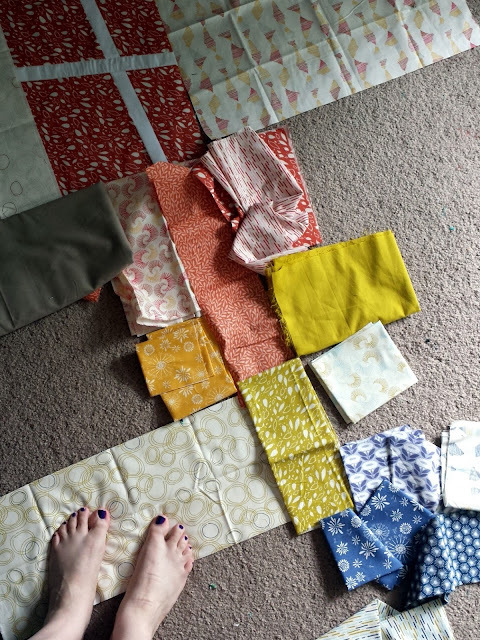 Use the hashtag #selvagealong to show us your selvage pile on Instagram! Selvage Pillow projects (18" x 18") by members of the Central Jersey MQG at our June meeting. We swapped! From left to right: Kim, Kathy, me, Janneke, and Janet. To me, selvages are like free text fabric. 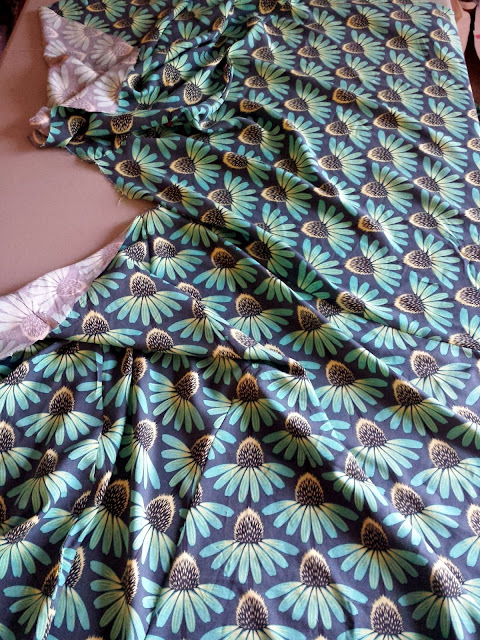 :) They (almost always) accompany any yardage you buy. I usually buy half yards or yards of fabric, but you can get them on fat quarters and fat eighths, too (though they are shorter). 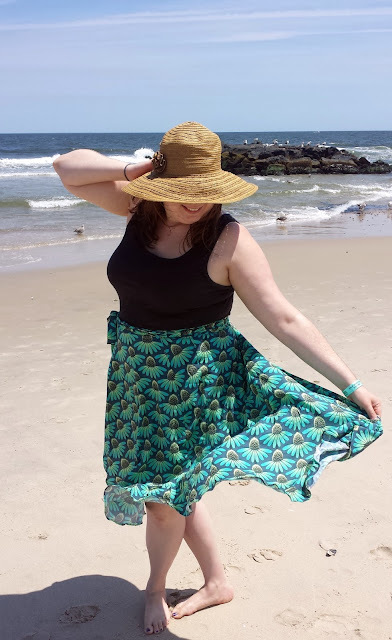 *Some of these sewists sew selvages (try saying THAT five times fast) with a foundation underneath, but you can totally do it without a foundation. 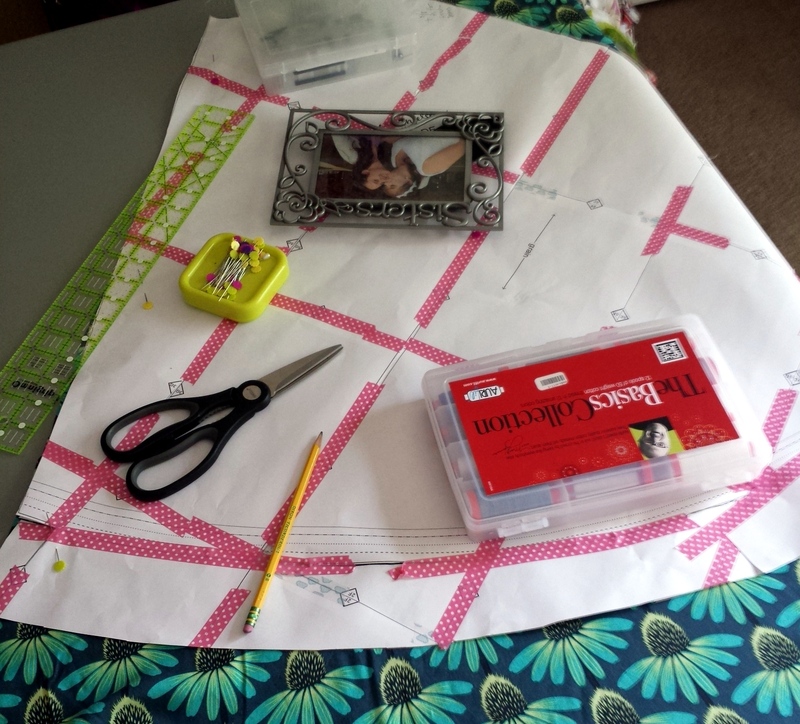 Make sure to pop over to Quilts of a Feather today for more beginner selvage sewing links! 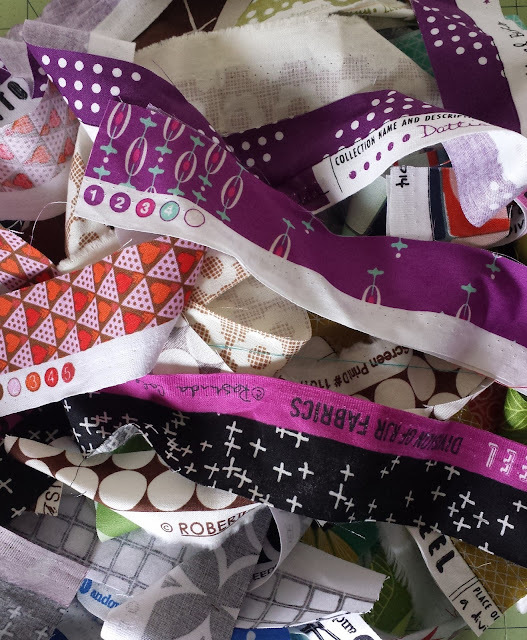 This Friday (July 24), we will have a joint link up for you to share your selvage project ideas. Maybe you want to create something with selvages only, or with selvages as an accent. Maybe you just want to show us your selvage bag or pile and brainstorm a list of ideas. 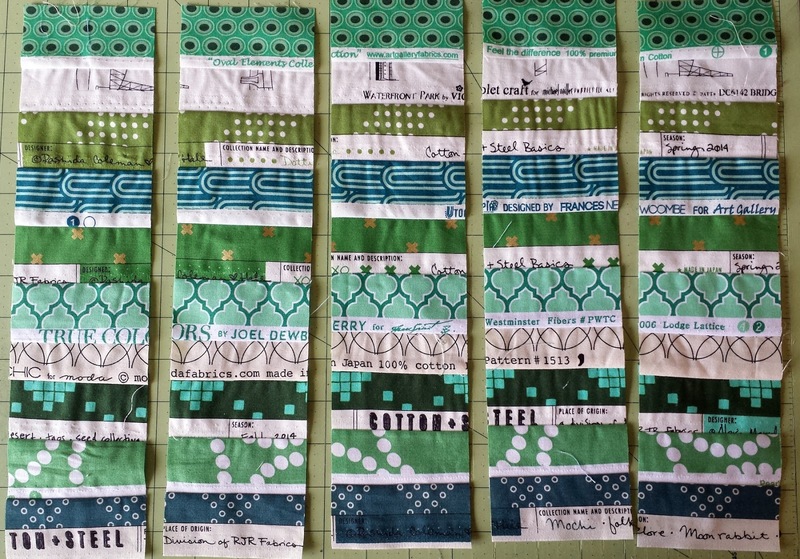 There will be a mid-way check-in linky on August 10 so you can share your project progress. 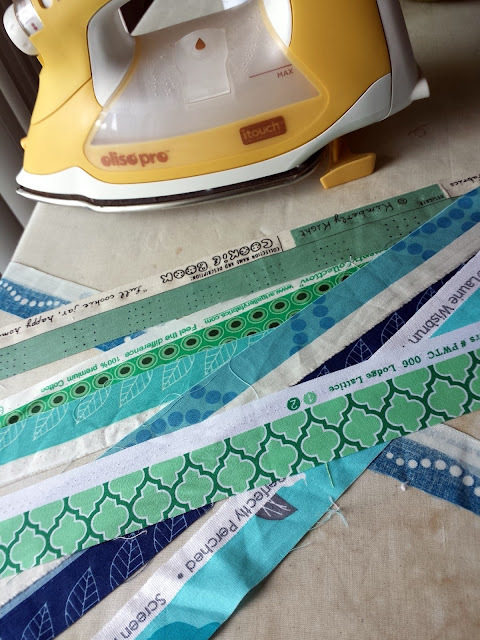 Finally, you can link up any selvage project that you made during the Selvage Along on September 21 for the last linky party. 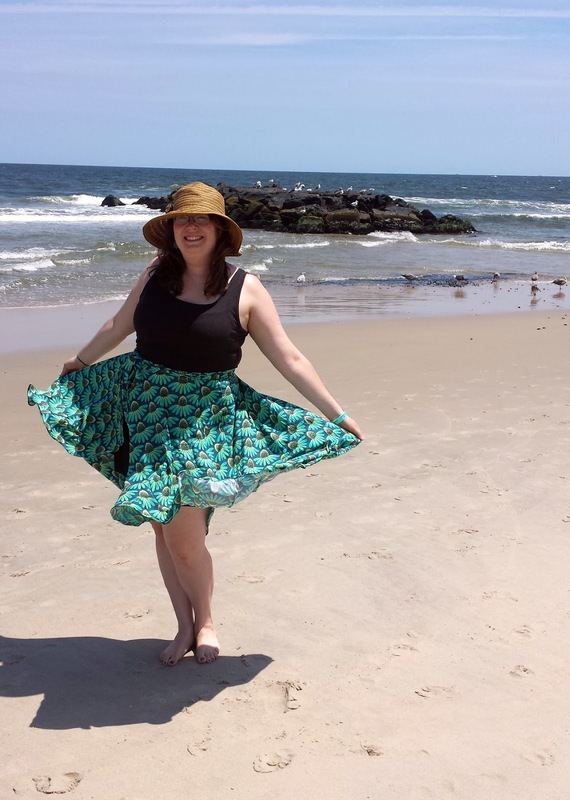 Share your love of sewing selvages with the world! This pillow tutorial will be right here next Monday! July 20 - Intro post <<<You are here! During the past few weeks, you may have noticed some moving around here on the website. I decided this year would be the year that I fully upgrade my website because sewing is now both my passion and my business! First and foremost, I bought the quiltyhabit.com domain! It was about time. :) All my links should redirect to the new site (still hosted through Blogger), but if you have any problems, please let me know. It definitely makes things feel more official! My sister Marisa has been working hard on the new logo and page tabs at the top. Don't they look great? The logo has one of my quilts behind it, and I can change the logo periodically/seasonally. :) Orange peels fit the feel that I want to give off on my site. I am a quilter who does not stick to the rules: carefree, but a workhorse. And yes, I love orange peels. ;) Also, go hover your mouse over the page tabs. Just do it! Marisa rocks! I took the plunge into HTML and configured my Portfolio page. My husband thought he'd NEVER hear me say, "I feel like I've been staring at code all day!" Almost everything I've made and blogged about is listed in an image gallery by year, in reverse order of when they were finished. I'm so excited to see everything so nicely laid out! For those of you who are looking for a great tutorial to follow, check this one out at Laura's Crafty Life. All tutorials (also set in an image gallery), series, and quilt-a-longs are now housed under the "Community" tab. 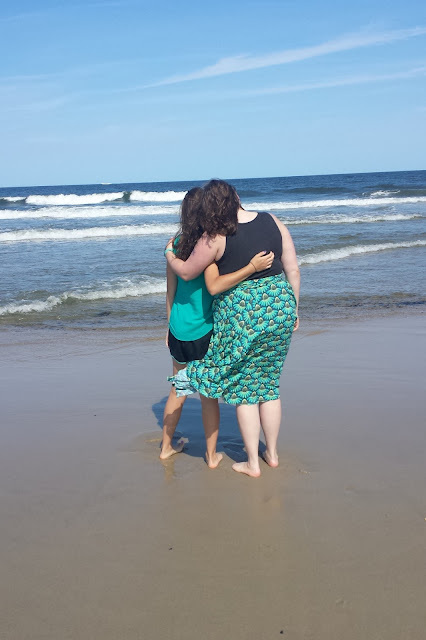 My signature on blog posts (see below) will be different from today on (also Marisa's doing!). I've updated my "About" page. I cleaned up my right sidebar for a more uniform, professional look. 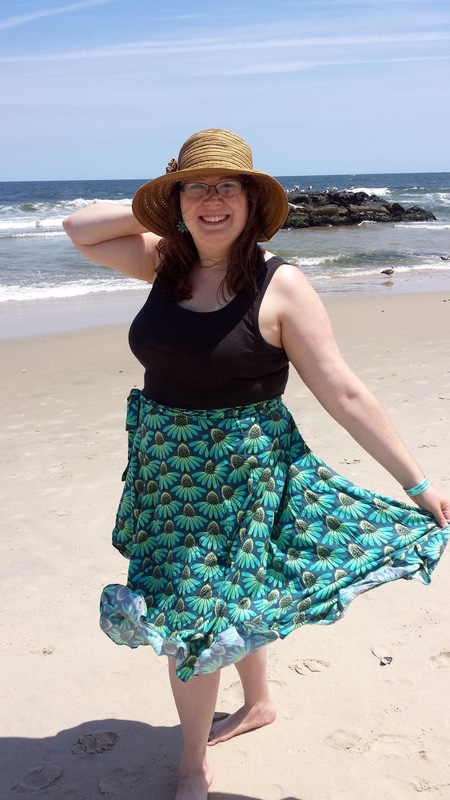 A new photo on the right sidebar is coming! We are working on having the logo and pages accessible through mobile devices. It should all be set up by Sunday. Thanks again for all of your support, and I hope you enjoy the new site! For reference, you can access mini quilt (and other sewn goods) swaps on Instagram (IG) if you have an Instagram account and follow a lot of quilters (they will pop up - there are always a bunch going on! Right now, #sewmystashminiquiltswap and #lovewinsminiswap are popular, and it's always smart to check the #sewingandswapping hashtag). 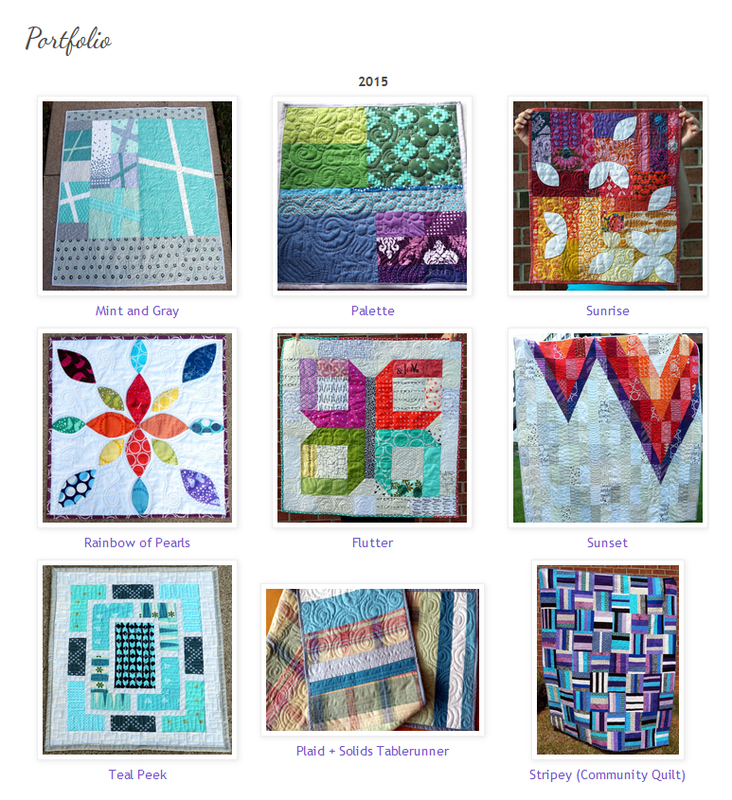 You can also access swaps through Flickr, and you can organize them within your quilty group of friends. To be a part of a bee, you can join a Flickr group like do. 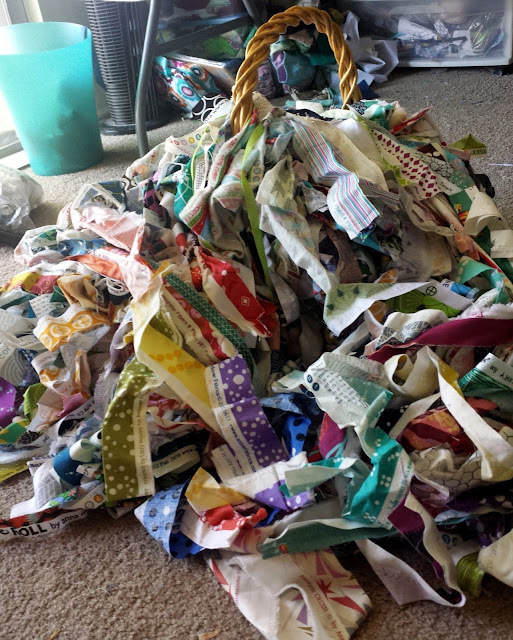 Good Stitches, find an Instagram bee, or just round up a bunch of your own quilty friends. Check in your area guilds to see if you can participate in a swap or bee. 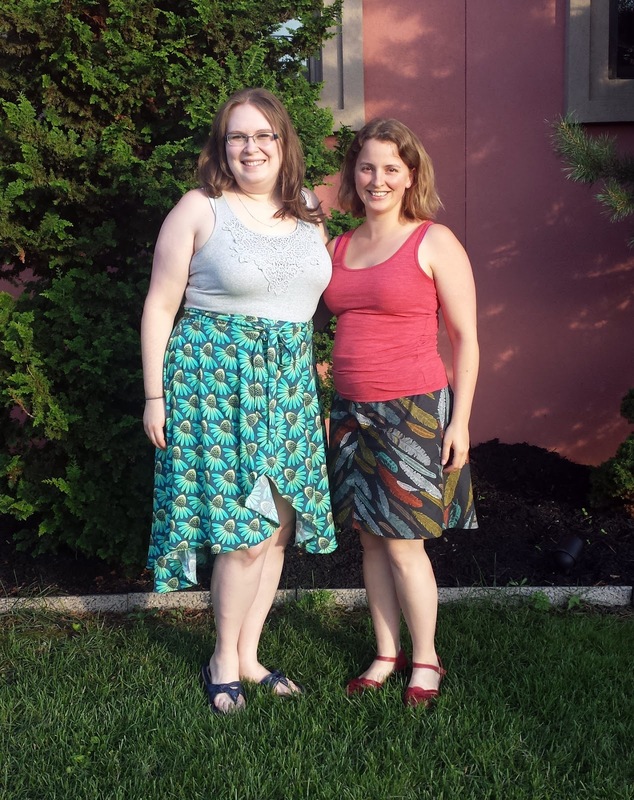 I participate in monthly swaps and bees in the Central Jersey MQG, and Renee and I are a part of a private bee, The Sisterhood of the Traveling Quilts. *This list is not addressed to our (Jess's and Renee's) past and current swap/bee partners. It is a general list of reference points and opinions inspired by the online community. 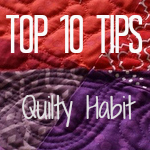 We are also not the "quilt police," and we have written this list with positivity in mind! Finally, some of these points are required by each swap/bee, so make sure you read each set of rules carefully when you sign up. 1. Take time to consider your commitment. If a new swap pops up, don't sign up immediately. Sleep on it! Many swaps start new rounds later in the year, so you can always join in a later round if the deadline is a busy time for you. You also need to consider your other sewing commitments (bees/swaps/what have you), because each one you take on becomes a lot more work. While it is fun to get to know other quilters, make something for someone else, and receive something in the mail, you need to seriously think about whether the swap is right for you. 2. Give all the information you can. 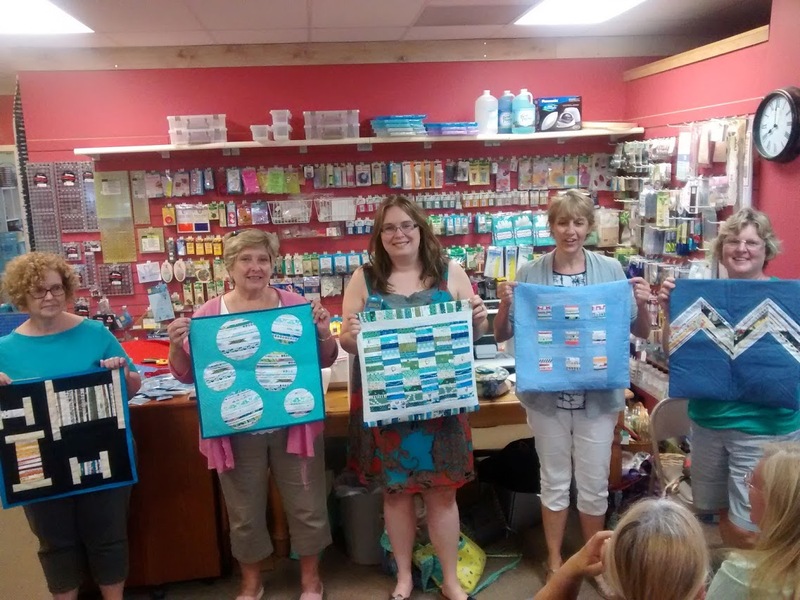 Fill out the sign up form fully, post at least one mosaic to Instagram, or make a Pinterest board that shows quilts or colors you like. This will help YOUR partner create something unique and lovely just for you! 3. Keep track of all communication and refer to it whenever in doubt. Your "queen bee" (quilter in charge of that month's quilt) or swap mama will likely send you an email that includes ALL the details about the swap or bee. If it's a swap, all the information about your partner will be there. 4. Save your partner's mosaic to your phone or computer for easy reference. 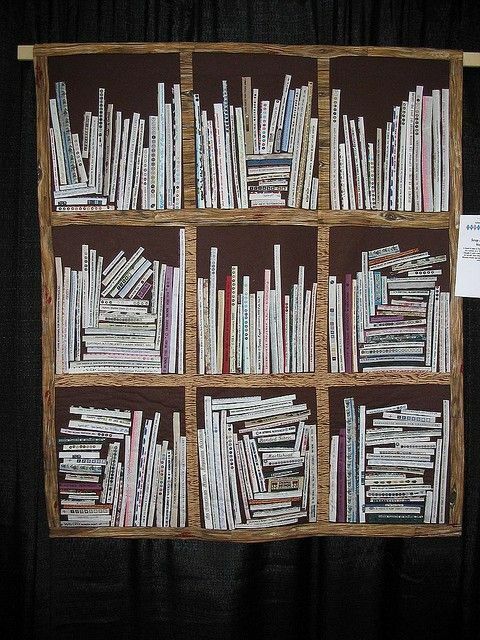 In an Instagram swap, you will most likely be required to create a mosaic (or group of pictures) of quilts you like. Your partner will have one or two as well - internalize them and really consider what your partner likes before proceeding. 5. Make you understand how to use Instagram or Flickr. Tagging photos and people, using hashtags, and following people in your swap are all fun parts of participating within your group. You can also look through the group photos/hashtag frequently to guess which mini might be yours and to encourage other sewists. If you don't know how to do these things, play around with Instagram or Flickr, or ask your friends or swap mama for help. Active participation is required in most Instagram swaps (checking in, posting progress, etc. ), so this is really important! And yes, you can be kicked out if you don't engage with the group or post progress. Don't be that swapper! 6. Once you have a plan, double check that it corresponds with with your partner's likes and dislikes (and that you didn't get them mixed up!). 7. 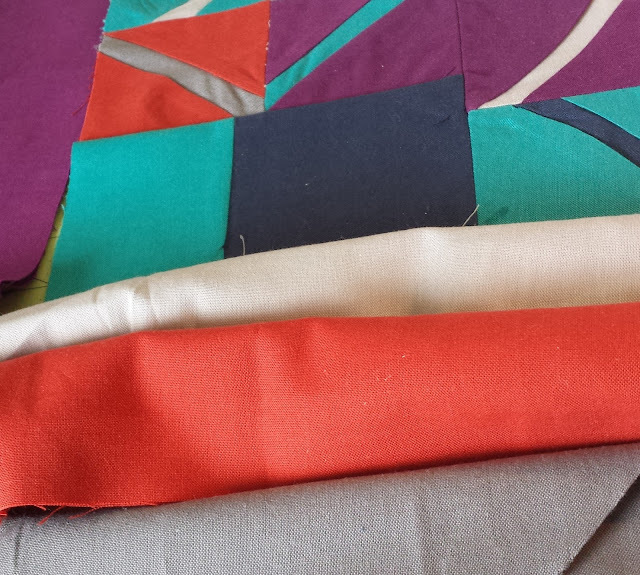 Use quilt shop quality fabric for the whole quilt, including backing and binding. Ask your beemates if you're not sure what would be appropriate or preferred. For swaps, research your partner's likes and try not to just to use their favorite color. Quality is a hugely important part... see #9 for more info. 8. Be prompt/don't be tardy! This is the cardinal rule for any swap or bee. If you sign up for one, you are making a commitment (usually one that you don't really realize the extent of until you are knee deep in the project) - see #1! A swap will have anywhere from 6 weeks to 3 or 4 months before you have to send out your package. 1. Make yourself a schedule leading up to the deadline. Figure out by which date you'd like the top pieced, then quilted, then bound, and when you'd like to have everything packaged up to mail. It's all about time management, especially if you are involved in more than one swap. Create reminders on your cell phone or planner. 2. If something comes up, speak up! You must tell your swap mama if you are moving or something serious happens in your life that will hamper your ability to participate in the swap on time (or at all). Same thing for bees - your queen bee expects to receive her blocks on time, so you need to communicate with her immediately if something unexpected happens. Everyone understands that things happen; there's a big difference between being upfront about your difficulty and flaking out. 9. Quality > making a deadline. You should be creating something of excellent quality (quarter inch seams, straight, well attached binding, pressed fabrics). 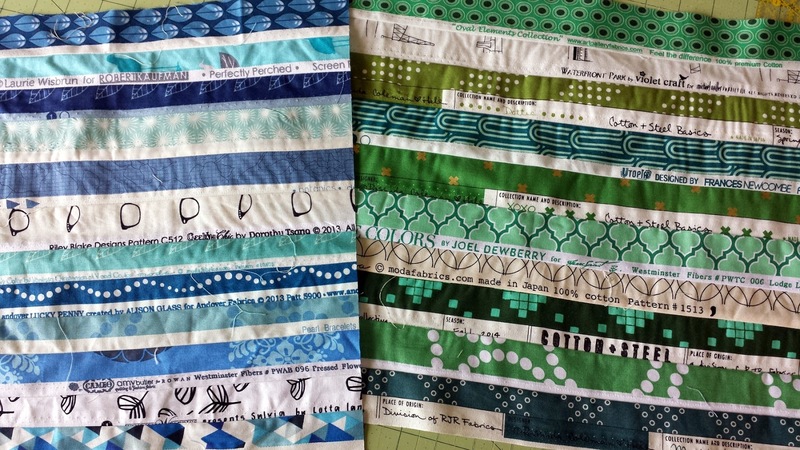 Renee and I also believe that if you are participating in a mini quilt swap, you should be adding enough quilting to improve the quilt top. 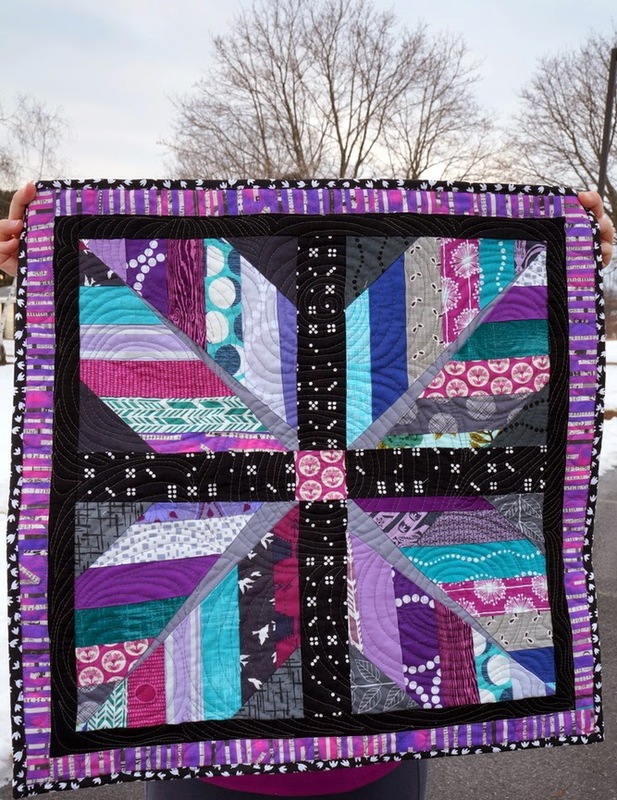 This could be straight line quilting, echoing designs with free motion quilting, hand stitching, etc. 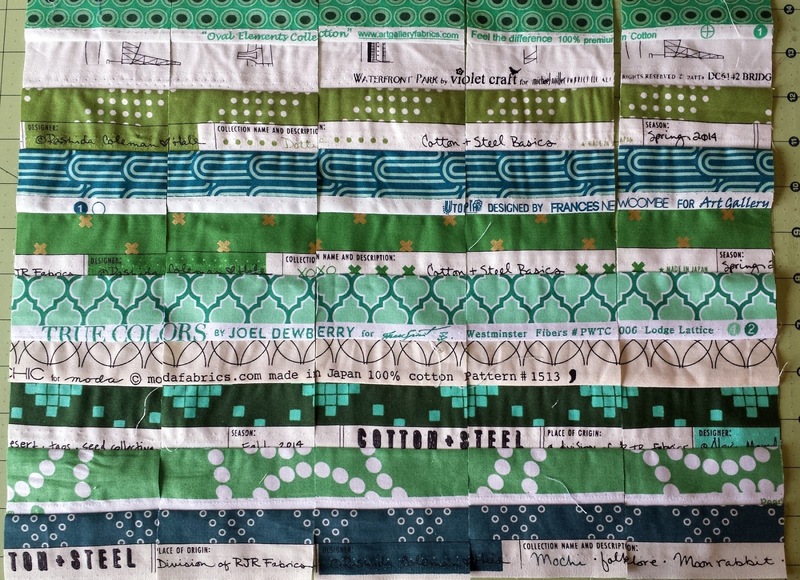 If you do not consider yourself a proficient quilter, it is perfectly okay to practice before you try on the quilt. "Quilt it to life!" says Renee. Simple is good but your partner will know if you did not put effort into the quilting. Imagine how your partner will feel if they've put their heart and soul into their own project. "Circus Tent" - Modernista Homemade Swap 2012 by Jessica - the only quilting is around the cathedral windows (to tack them down). 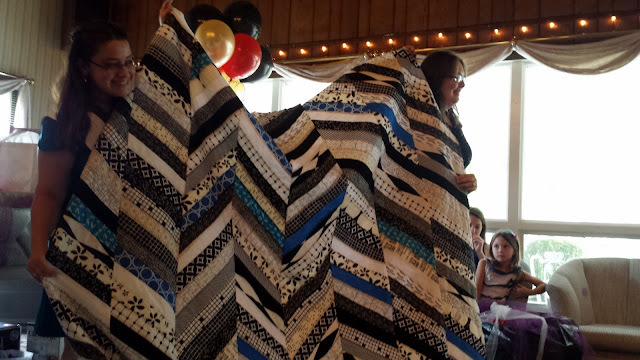 It makes a statement, takes some time, and makes the quilt look even better. 10. Authenticity is important. Your swap partner wants to receive a piece of you. The goal shouldn't be to mimic your swap partner's styles. Do what makes you happy and what you are good at while making something that you know your partner will appreciate. Do what you love and it will show! 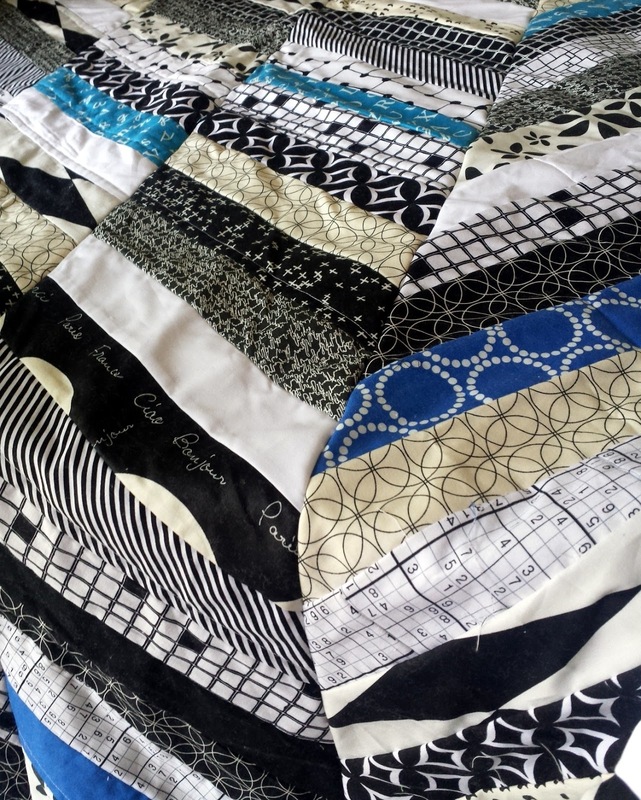 For example, I love to free motion quilt my mini quilts, so I always do, no matter what. 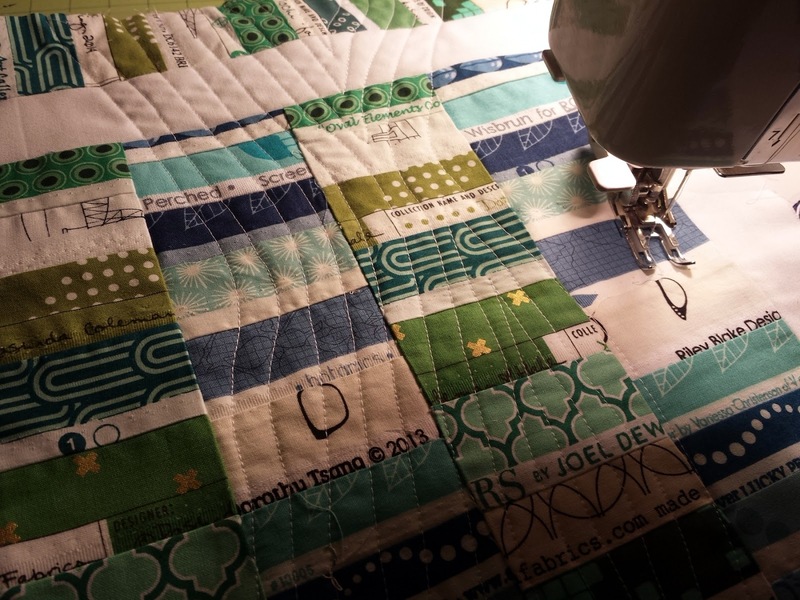 It might vary from simple free motion to more dense quilting, based on my partner's tastes. 11. Send your package smartly. If possible, pay for tracking, sew a label on your quilt and include your IG handle/name (or include a note with your name with bee blocks), put it in a plastic bag to protect it from the elements while in transit, be discreet--don't make you package an attractive target for people looking for something good to steal (examples: writing #happymail, words that include "gifts," "presents," or "swap," covering your package in tape). As fun as it is to receive a decorated-to-the-nines package, it's better to be safe than sorry. Mini quilts have and DO go missing in the mail. Be smart! 12. Include a note! This lets your recipient know who made it and who to thank! You can also explain your inspirations, or why you included some elements, or just a simple "I really enjoyed making this and hope you love it!" or just 'Happy Sewing!" Be sure to sign it with your name, your IG name and #NameOfYourSwap. It's an easy, common courtesy that your partner will love. 13. Don't feel obligated to include any extras (unless it is required by the swap). If you want to include extras, that's fine too! 14. Check in but keep it a secret. Show your progress but don't reveal your partner's likes/dislikes too blatantly! It's more fun if swappers are kept in the dark. :) See #5 for more info. 15. 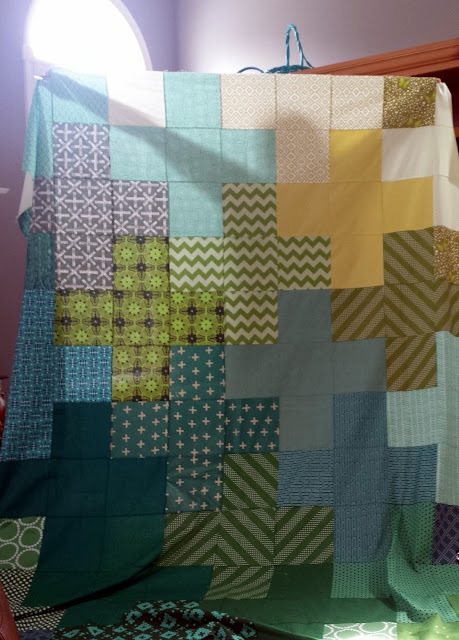 Post photos of your finished quilt/blocks in natural lighting (outside or under a window) before you send it! You can wait to share the photo after your recipient receives it if you want. 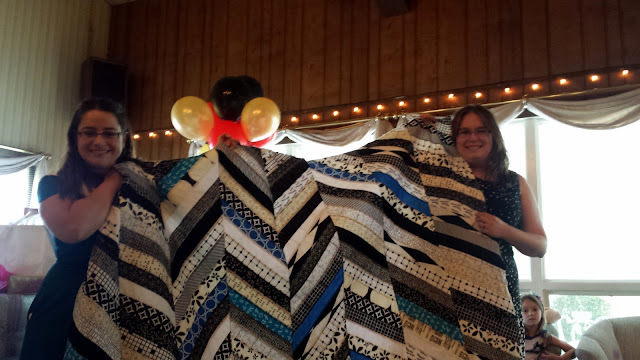 If you can take the time to make a time-intensive quilt, you can snap a picture in daylight (that is, hoping you haven't finished the night before the send deadline). 16. When you receive your swap item, share a photo on Instagram and tag the maker and your swap mama! 17. Make sure you THANK YOUR PARTNER! This is important because he or she will a) know you received it safe and sound and b) see that you are acknowledging all of the work they put into it. Regardless of whether you like or dislike your swap package, this step is an absolute must (plus, it's just common courtesy). If you are in a swap on IG, you will likely be tracked down by your swap mama if you don't verify that you've received your package. Same thing goes for bees - if your beemates made blocks for your quilt, you need to thank them. A simple email or tag (@) on IG will do. 18. If you don't have something nice to say, don't say it. Speaking of bee blocks or swap packages that didn't quite come out as you'd hoped, there are several things you can do (after you've done #17). 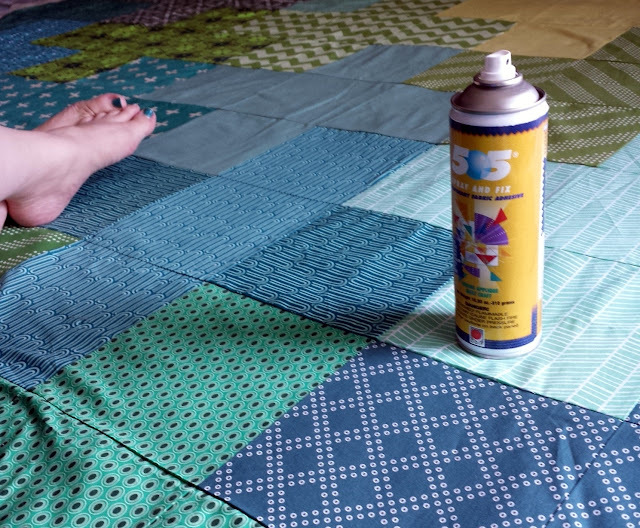 You can fix or change/upcycle your swap mini quilt and no one has to know. You can also give it away if it's not your cup of tea. It would probably better serve someone else than being stashed away in your closet for years. No swap partner wants to think their work wasn't good enough for the person they made it for, but if you feel that passionately about it, so be it. On a final, more positive note, swaps and bees make the quilty world go round. Go forth and make things for other people! 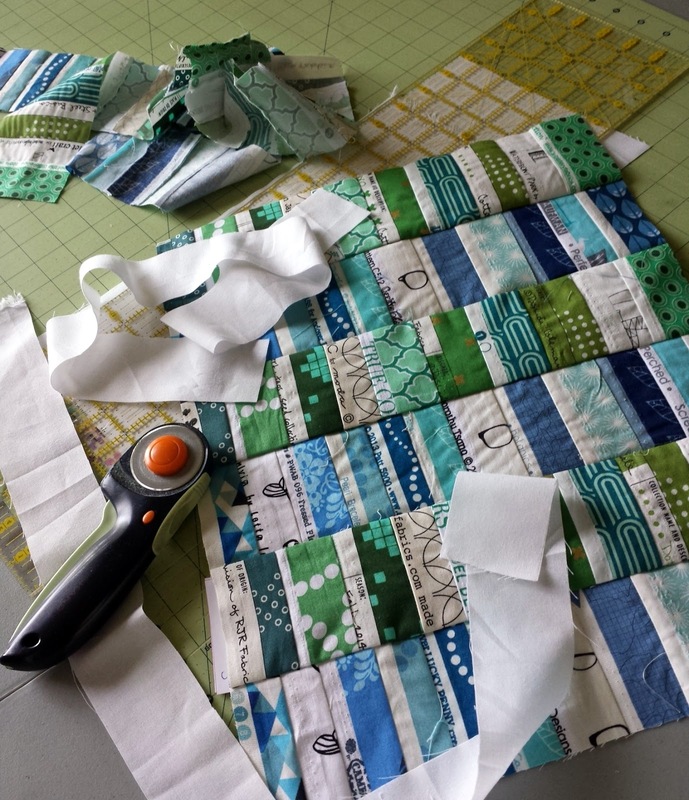 Linking up to Tips and Tutorials Tuesday @ Late Night Quilter.